Rooted in science. Nourished by commitment. Sustained by quality. Shanghai Freemen is proud to provide exceptional ingredients and solutions to enhance the performance, taste, and nutritional benefits of the world’s most celebrated brands. Since our doors opened in 1995, our focus has been to support our customers in the food, beverage, dietary supplement, personal care, and animal nutrition markets, and help them bring their ideas to life. Now a leading manufacturer, supplier, and distributor of ingredients for industries around the world, we believe that who we are today is a direct result of the choices we've made along our journey. Consisting of a team of highly trained product managers, account support and quality control experts, we are dedicated to providing the highest quality ingredients available. With our core ingredient portfolio, we’re the preferred supplier for leading dietary supplement, functional food and beverage, cosmetic, and animal nutrition manufacturers around the globe. We learn as much as possible about our products and markets, and build close relationships with our partner factories to provide our customers exactly what they want and need. We never stop asking how we can do things better. 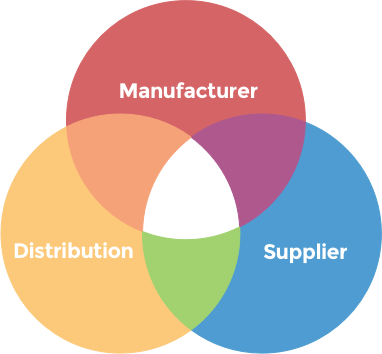 Hybrid by design, we manufacture the products we are experts in, partner with leading manufacturers we know and trust, and support our customers through a global distribution system. This allows us to provide direct access, greater control, and complete transparency throughout the entire supply chain. Would you trust a supplier who has never been to China to see how their products are made, or to know if the supplier will be around tomorrow? At Shanghai Freemen, we pride ourselves on providing actionable, up-to-the-minute market intelligence you simply cannot get anywhere else. Our sales and technical support staff receive in-depth training to ensure they are familiar with each product we produce and distribute. We also visit our partner factories in China to see the manufacturing process first-hand, because knowing where each product comes from and how it is made allows us to make first-hand claims to quality and reliability. Focus is growing on lifelong health, our suite of products offer what today's healthy eating consumers are looking for. We all want to feel youthful and lively; our skin, hair and sun care solutions help target the discerning, beauty conscious market. The increased demand of functional F&B and dietary supplements call for high quality ingredients, our products can help fill the toughest requirements. Attention has grown on the health of pets and livestock, our suite of feed ingredients have become more important then ever. Starting in infancy, lifelong health is built on a foundation of proper nutrition, our thoroughly test products help to fill the highest demands. Our Non-GMO SoPure brand Stevia offers superior clean taste and an excellent range of products. All natural, plant derived vitamin E is known for it’s relatively high antioxidant ability. Through our partnership with INNOBIO we’re developing innovative, ingredient solutions. We have been providing organic material for many years, now it’s backed with certification. In order to give you the most relevant info, please select the team you'd like to know more about.